New locations may be created in EDGE using the Create Locations dialogue. This window may be opened by going to the Plugin Ribbon and selecting Batch Location Creator. •location naming schema, select predefined or enter your own by typing into the box. Once the required parameters are entered, click 'Create' to generate locations. In case of the generation of a duplicate location, EDGE will prompt you to address the conflict. 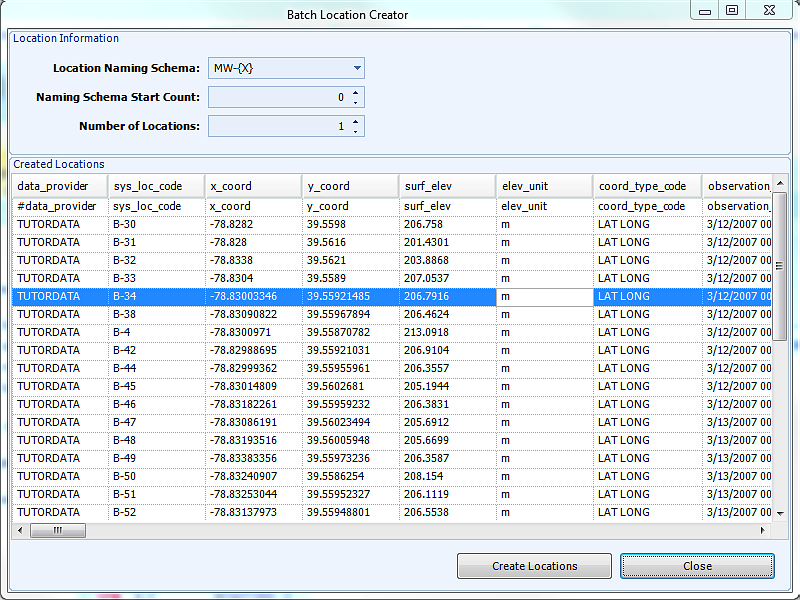 Multiple location batches can be generated without closing the screen.